Part of achieving a true virtual world involves incorporating elements of good and evil, risk and reward. Some games dictate that you should be free to experience game content in safety, others say that nothing is worth having without the risk of losing it. Our answer is that they’re both right. 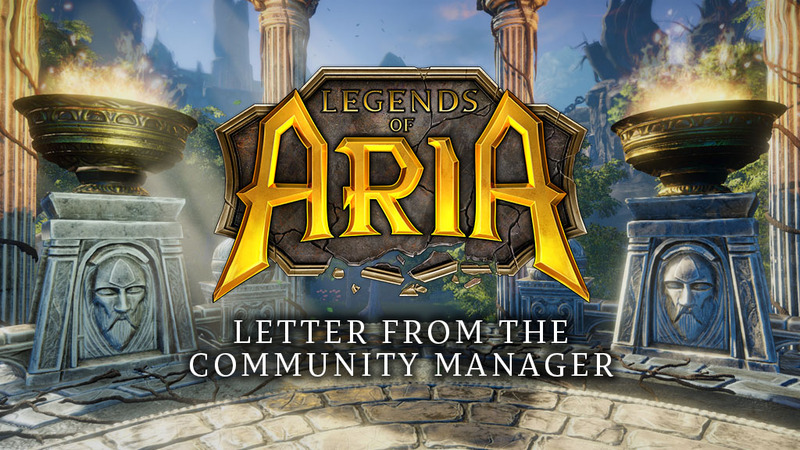 Legends of Aria is a unique return to a true virtual world with a high emphasis on social interaction over guided content. Too greater protection and you find yourself over-reliant on content, feeding the emergent power creep as you wade into the inevitable obscurity of ‘too much stuff’. Alternatively we’re confronted with the dreaded “gank-box”, a system which inevitably has a minority of winners and graveyard of losers. In creating an immersive and dynamic social experience it is vital for us to combine both of these environments. Central to this is perception; with respect to risk it is imperative that players are coerced as opposed to forced out of their comfort zone. Risk can be a thrilling enterprise when engaged in willingly or a nightmare when enforced. We have made every effort to be precise with our item & resource distribution in delivering a weighted opportunity cost between our secure and non-secure regions. It is through these mechanics which we have arrived at building a thriving ecosystem across a spectrum of play styles. Be you a miner, fisher, adventurer or roleplayer; meaningful choices await you as to how much you will risk so that you might prosper. At the heart of this is capturing the essence of player actions whilst stopping short of completely preventing them. Our previous system was much more sophisticated and sought to economise every player action, building a more accurate picture of a players karma. What we discovered during Closed Beta was that players operated along much simpler lines; adopting very identifiable positions within the system and lacking the perfect information to know where and how they could push their karma in either direction. This presented us with an opportunity to recalibrate our system around the choices players were already making, simplify our design and give players far more freedom in their engagements. 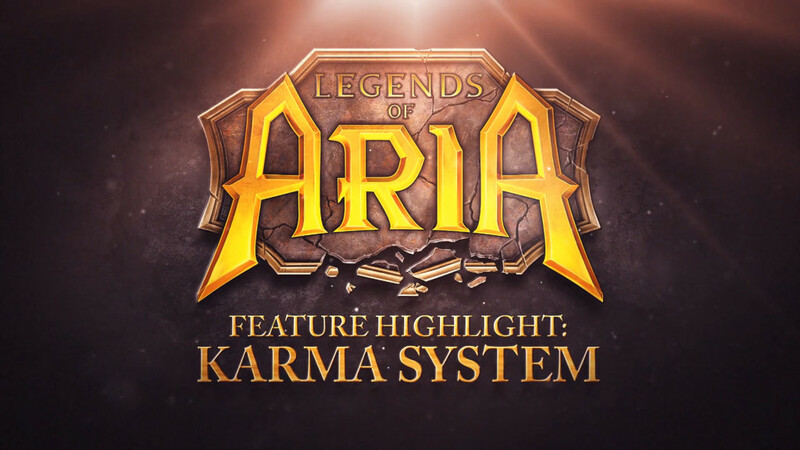 At this stage we strongly recommend you watch the “Feature Highlight: Karma” video which explains exactly how the system works. In summary we have squeezed together our karma levels into 3 identifiable alignments: Innocent, Chaotic and Outcast. Two of these speak for themselves and are largely unchanged, however what we’re really excited about is the implementation of the Chaotic alignment. In the previous system we lost the clarity of the classical grey ‘criminal’, the character who had committed a negative action and deserving of a worthy punishment. In previous blogs and interviews we’ve gone into the problematic nature of temporary criminal flags. Several minutes of risk is rarely proportionate to the crime undertaken to earn such a flag; in many cases such flags are often used by players as an impromptu PvP flag to coerce innocent players into a free engagement. Chaotic players in Legends of Aria are labelled as such with a permanent alignment, redeemable only by the act of gaining karma. This shifts the emphasis on such players to embrace their choices as a player and embrace riskier gameplay; ultimately turning the Protected lands into a battleground for the chaotic. Chaotic characters are still afforded the amenities of innocent players, we have simply eliminated the possibility for opportunism. The beauty of this system is that each of three alignments have unique qualities about them that make them more than just a colored name. Choose to be Innocent and enjoy full protection from aggression inside the protected lands, choose to be Chaotic if you wish to engage in player vs player conflict anywhere outside towns, and choose Outcast if you are prepared to surrender many freedoms and be hunted everywhere you go. With each major release of Legends of Aria we have iterated on the Karma concept, a system which seamlessly compliments players’ individual play styles and is very unique in the “open PvP” MMORPG subgenre. Legends of Aria is coming to Steam Early Access on December 4th. Anyone who purchases a Founder’s Pack on our site prior to launch will get a 7 day headstart and exclusive items that will never be offered again.